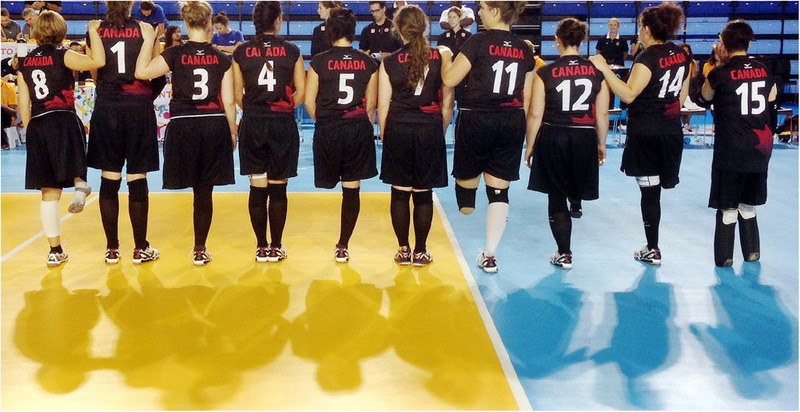 The Canadian women’s sitting volleyball team is introduced at the Markham Pan Am Centre before their preliminary game against Cuba during Parapan Am competition in Markham Ontario, August 9, 2015. Great shot Lyle. I’m inspired by a few young single amputees who play basketball at my Y. They have very cool edgy looking prosthetics. I suppose at that age you have to have the “coolest” everything. One of these days I’m going to ask them for permission to take a quick video of their play.